We deals in Complete range of clamping elements which includes Mold Clamp, Strap Clamp, F-Nut & many other. 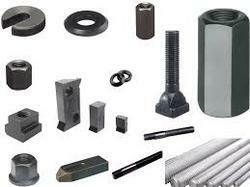 We offer a comprehensive range of Clamping Elements for Construction Industry. Rim Clamps simplify the toughest reforming jobs and are ideal for applications requiring 100% weld and grind under clamping pressure. Also, allows for extrememly accurate fit-up of large diameter pipes and shells. Having rich industrial experience, we manufacture, supply and export a wide assortment of Clamping Studs. Our products are available in the market at reasonable rates. KTR Couplings (India) Pvt Ltd offers Rotex GS Clamping Ring, Hubs Light. Zimmer Clamping and Braking Elements offer a new and innovative approach for stopping, holding and positioning applications using linear guide rail systems. Our experts have brought forward Clamping Lever, manufactured in conformity with the industry laid requisites. Offered cartridges are imparted with uniform finish and sturdy design, available at industry leading prices. Easy to install, the preferred range has gained immense industry acceptance. Simple and reliable , it is a locking element is controlled manually . 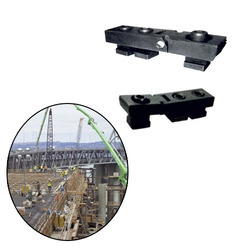 Acting on the freely adjustable clamping lever ( Lever ) , contact elements pressed with sync on the free surfaces of the rail . The contact floating guarantee a symmetrical distribution of force on the linear guide . - Required extra height could be achieved by stacking the blocks. ROTOLINEAR SYSTEMS OFFER LOCKING DEVICES FROM KBK GERMANY. THIS LOCKING DEVICES ARE FULLY MADE IN GERMANY AND ARE WITH HIGH PRECISION. THE LOCKING DEVICE SHOWN IN THE PHOTO IS KBS 40. MOST OF THE SIZE ARE AVIALABLE IN EX-STOCK AT BANGALORE.